As a wing lover, you know when you get a craving, not just any hot wing will do. You need something that won't only satisfy hunger, but make you want to keep eating them until your fingers are saucy and you're too full to move. 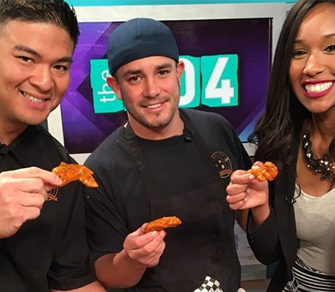 At Bayou Hot Wings, Chefs Allen and Kyle combine their skills to create some of the most delicious hot wings in all of New Orleans! Holding true to our culinary ideals, we treat these wings with respect. All of our chicken is seasoned and brined for 24 hours to achieve the perfect harmony of savory juiciness. Along with perfectly cooked meat, we also make ten delicious sauces that pair flawlessly with our fried yard bird. Many of our sides and dipping sauces are made in-house with local ingredients. They include our fresh potato salad, Creole coleslaw, ranch dipping sauce, and southern remoulade sauce just to name a few. We even have our very own creole seasoning blend and flour we use to give you a unique taste that you'll love. 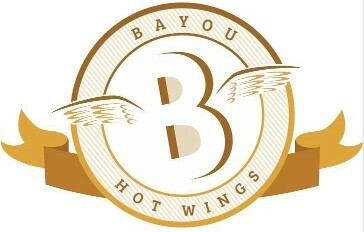 Bayou Hot Wings is the brainchild of Chef Allen Nguyen and Chef Kyle Makepeace. Their intention is to bring a wing restaurant that the city of New Orleans can truly enjoy and be proud to call their own. Born and bred in Louisiana, Allen and Kyle know the importance of good food. You can't fake flavor! If you're looking to have the same chicken wing flavor in your home, look for our specialty sauces for sale at our store, available for customers nationwide. While you're there, check out our merchandise and represent your favorite wing restaurant with a new shirt! Represent our company with a stylish T-shirt.